Item # 304632 Stash Points: 1,195 (?) This is the number of points you get in The Zumiez Stash for purchasing this item. Stash points are redeemable for exclusive rewards only available to Zumiez Stash members. To redeem your points check out the rewards catalog on thestash.zumiez.com. 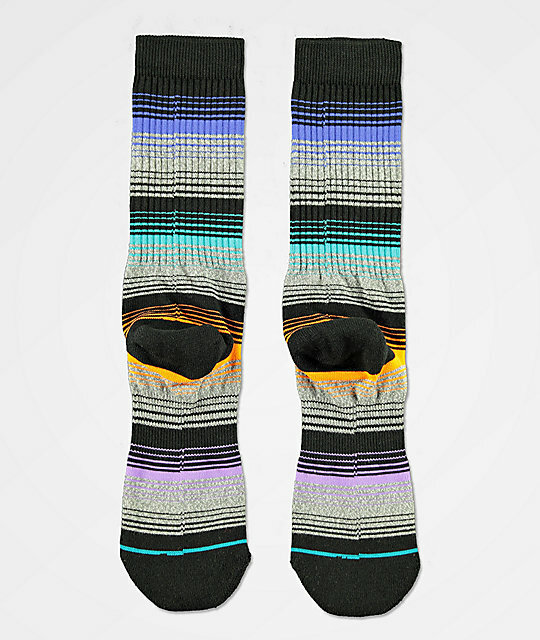 Add mellow, beach-blanket-inspired vibes to your sock collection with the Williamson Crew Socks from Stance. 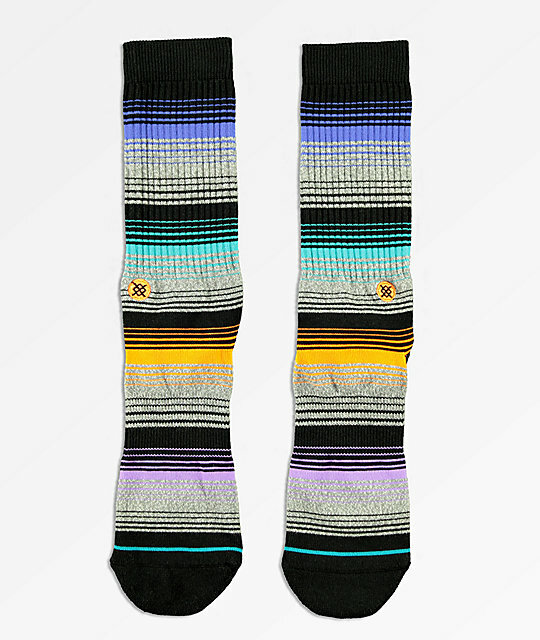 These medium weight crew socks feature jacquard knit stripes in black, grey, purple, and teal for a unique look. A seamless toe closure, ergonomic elastic arch support, and reinforced heels and toes make the Williamson Crew Socks from Stance a must-have addition to your sock drawer. 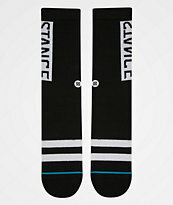 Williamson Crew Socks from Stance.